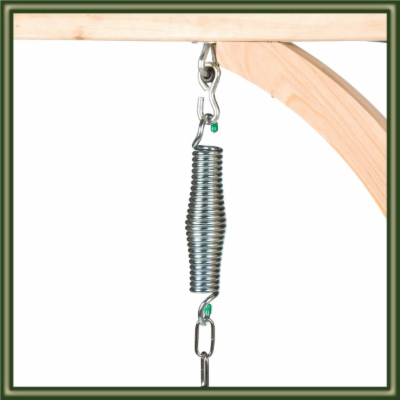 The heavy duty Swing Mate Porch Swing Springs are placed between the overhead support and our porch swings chain to provide a more comfortable, softer feel to swings and hammocks. 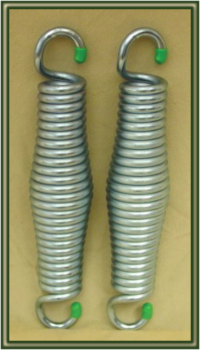 The barrel shaped springs measure approximately 2" in diameter and 8 1/2" long. The are zinc plated and clear coated to provide additional protection against elements. These springs come in a set of two. As with all Cypress Moon Furniture, price includes FREE SHIPPING!